Legal disputes come in all shapes and sizes, and the law which applies to their resolution depends on the subject matter (e.g. land, a contract, damage done, a trade mark infringement) and also on the method of settlement (e.g. alternative dispute resolution (ADR) methods, which include arbitration and mediation, and 'formal' legal resolution by litigation). The potential for complexity in legal disputes can, if not managed expertly, lead to excessive delay and high costs. 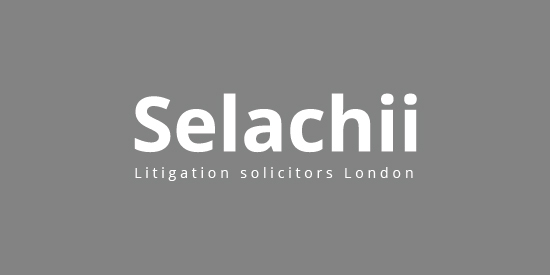 Selachii are expert in all areas of dispute resolution and always put the best interests of our clients at the heart of everything we do. We work with both businesses and private individuals, giving them legal advice and support which is unique to them and their situation. With us there to help and guide you, you can be assured that your legal dispute will be conducted as efficiently as possible and that your interests will be backed by expert legal support. Most legal disputes never reach court, but are resolved through mediation or via a negotiated settlement. Personal Disputes (for example disputes over debts, property rights, planning law, will disputes and so on). Commercial Disputes (for example, disputes about contracts, intellectual property rights, commercial leases, planning applications). Construction Disputes (relating to building projects and construction work). Financial and Investment Disputes (disputes over finance and borrowing agreements, investment advice etc.). Tax Disputes (disputes with tax authorities regarding all taxes, tax residence and liability and so on). The type of dispute often points to the best way of resolving it. Sometimes, if it is handled sensitively and positions are not too entrenched, a dispute can be dealt with by a straightforward negotiation. This is normally so when the sums involved are not large. In these cases the resolution may be as simple as making a legal agreement or varying a contract. Mediation is the term used to describe a process wherein a qualified mediator helps the two sides in a dispute to reach a negotiated resolution. The courts now require an attempt to be made to mediate most disputes before the parties resort to formal court proceedings. If the mediation attempt fails, litigation remains a possibility. In an arbitration, an arbitrator is appointed to collate the evidence provided by both sides in the dispute and to make appropriate enquiries. A binding decision is then handed down. Used extensively in construction contracts, where the legal issues can be complex, adjudication is essentially similar, but in this case a recognised adjudicator is appointed and considers the legal arguments presented by the parties to the dispute. See our further information on ADR. Litigation is the long stop of any dispute, and can also be the outcome of a flawed arbitration or adjudication process. Even where the dispute is being dealt with by litigation, it is not normally necessary to have to go to court. More often than not, such disputes are settled by way of the negotiation of a settlement that is acceptable to both sides. Did the defendant cause the loss or damage being claimed? Did the defendant owe the claimant a duty of care? If these are proved, then the claim can proceed and the amount of damages (which often involves protracted negotiation and the use of expert evidence) can be dealt with. At Selachii we have only one aim in mind and that is to be your one-stop-shop for everything to do with dispute resolution services. No matter what your problem is or how impossible you may feel that your situation is, we are here to help. Whether you are facing this issue as an individual or as a group or company, we will help to ease the burden and work through the proceedings with you. We cover all areas of dispute including those that fall within the spectrum of personal issues, commercial ones or even a mix of the two. Should financial implications of the disagreement be muddying the waters, let us take control and show you the best way forward to minimise or recover from losses and damage. With years of experience behind us and a track record of continued success, no case is too big or too small for our professional mediation team. Before we start to work on your case we will sit down with you, discuss, listen and formulate a plan. Confidentiality is paramount at all times so you need never worry about your personal data or details being disclosed to any other authority. Of course there are many other companies around in the London area, purporting to do what we do, but no-one else does it as cleverly or concisely. We do not waste time on unnecessary detail and know how best to sort the wheat from the chaff in order to concentrate on the key issues at stake. Your time is extremely valuable, as is ours, so we realise that it is absolutely essential that concentration is on the main parameters of the case and not what could be classed as peripheral details. This then becomes unnecessarily costly for all parties involved and that is not what we are here for. 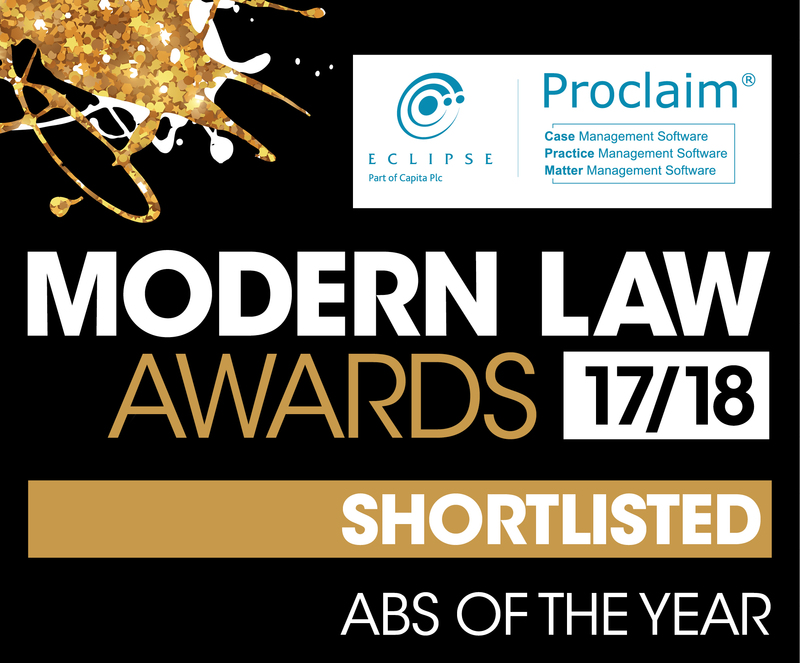 Our purpose as a company is to provide you with the best team of lawyers and solicitors in the London area to efficiently and calmly sort out your dispute resolutions. We have a like-minded team of experts that we can bring into the equation if at any time we need further specifics added to the case. As you can see from the list of activities that we have given as examples above, the area of dispute resolution can be quite intricate and several different themes can even carry over into one single case. This makes no difference to us as we deal with each occurrence based upon your own personal set of circumstances. Possibly the subject matter of your area of concern may even move outside of the UK and into foreign realms, possibly throughout Europe or even further afield into the rest of the world. Even this we take in our stride. As gurus adept in the art of dispute resolution, we will take the aggravation out of the situation and steer a clear course towards the best solution. Added to this, we will also give you reassurance that you are not alone because you find yourself faced with this situation. Life throws many things at all of us and it is how they are dealt with that makes all the difference. This is where you will find our help and advice invaluable. We take the trauma out of the event and enable you to keep your depletion to a minimum. Where it is necessary we will involve the services of adjudicative processes whereby a third party will decide on the outcome. If this is not a suitable option then the alternative is to make use of a consensual process whereby the involved parties will be encouraged to settle on an agreed result. Our Resolution packages are tailored to reduce your problems from day one. Dispute and conflict are a part of everyday life as we all have diverse views and opinions. When differing opinions grow, sometimes it results in the situation getting out of hand which may also have financial implications. Disputes can be both personal and commercial, and consequences of not resolving disputes can be severe. If you or your business has a conflict our dispute resolution package is for you. Our lawyers have many years experience in creating resolutions to client’s problems. Often professional mediation is the only way forward, sometimes a little more ‘thinking out the box’ is necessary for resolution. Our approach is simple, we listen, we create a pathway and we manage the process to conclusion. We have an excellent track record in getting a positive outcome, why wait any longer? When an investment goes wrong, sparks often fly…and litigation by the person who has suffered a loss can follow. Investment disputes take many forms. Probably the most common is where the person who has made the investment alleges that the level of risk inherent in it was not properly. Tax disputes are different from other types of disagreement because once you are in dispute with HM Revenue and Customs (HMRC) or a foreign tax authority you are dealing with organisations that not only operate without the normal commercial cost constraints but have also effectively written their own rulebooks. Selachii will work with you to resolve any disputes in a quick, efficient and cost-effective way. Our expert lawyers will listen closely to the exact details of your situation and gather all the information needed to get to the heart of the problem. We will then come up with. Legal disputes come in all shapes and sizes, and the law which applies to their resolution depends on the subject matter (e.g. land, a contract, damage done, a trade mark infringement) and also on the method of settlement (e.g. alternative dispute resolution (ADR) methods, which include arbitration and mediation,. Contesting a Will There can be many pressures put on the elderly to create a will that is partial or to change a fair one into one that no longer seems so. Not only can friends and relatives exert influence, but also charities have come under criticism over the. Personal disputes come in all shapes and sizes – ranging from the neighbour who starts making unauthorised use of your land, to the friend who persuades you to make a bad investment, to a family member who won't repay money you have lent them. One characteristic of many disputes. Commercial disputes are common enough, but usually have one factor which means that, if expertly managed, they are able to be resolved: they are almost always about money. The emphasis is therfore on securing a commercially acceptable result. Types of commercial disputes we deal with: Sometimes stronger measures. Contracts are everywhere. Almost every time you agree to do something for someone else in exchange for them doing something for you, you've made a contract. A contract involves provision of value on each side. A mere promise is not a contract. So, for example, a friend's promise to. As the Director of a company or shareholder, a simple thing like a Shareholders Agreement can prove to be extremely vital and meaningful. It can put a stop to much unpleasantness and disagreement but only if the agreement has been drawn up correctly by a solicitor and in accordance. ADR is the generic term for legal dispute resolution by any means other than formal litigation (going to court). The advantages of ADR are that it is normally quicker and cheaper than litigation. However, ADR is not a panacea: there will be occasions when litigation is a more sensible. Financial disputes are common, despite the tight regulation that exists in the UK governing investment advice and an advanced system of law relating to the provision of finance and lending generally. The sort of disputes that arise may include allegations that lending terms have not been complied with and. Construction disputes are amongst the most complex types of dispute. Often, there are several parties involved – including those who have provided the finance for a project that has gone wrong, the firms who supervised the work and the valuers on whom lenders relied for proper valuations. In addition,. Disputes over art and cultural property have been on the rise significantly in the past few years. The art disputes solicitors at Selachii are experts in this area of law. We understand how important it is that your most valuable personal and business assets are protected. Our team provide high-quality advice.